Avant Gardens Landscaping specializes in landscapes, patio construction, driveways, walkways, decks, pergolas, walls, steps, fireplaces, fire pits, waterfalls, water features, outdoor lighting, outdoor rooms and kitchen designs in Glen Carbon and surrounding areas. We are an experienced and innovative landscaping company that breathes fresh air into the industry and tends to your individualized needs. From rejuvenating your existing landscaping to brand new installations, we will work with you on making your property in Glen Carbon as individualized as you are. We serve the Glen Carbon area. 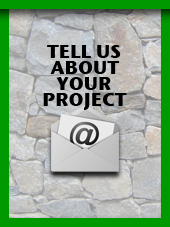 Just tell us a little bit about a project you are planning and we will help you take those plans and make it a reality. All you have to do is fill out a simple form to contact us and will will get back to you as soon as possible. We are here to provide you with quality products and materials, excellent service, and a beautiful landscape or outdoor patio that you can be proud to own. Avant Gardens Outdoor Living & Landscape Design, provides our Glen Carbon customers with a professional and nurturing experience from the beginning to end.